Designed for all abilities, LPCrossFit's workouts are based on life's core movements. Community, camaraderie, competition, and fun make LPCrossFit IV's premier training facility. Why wait? 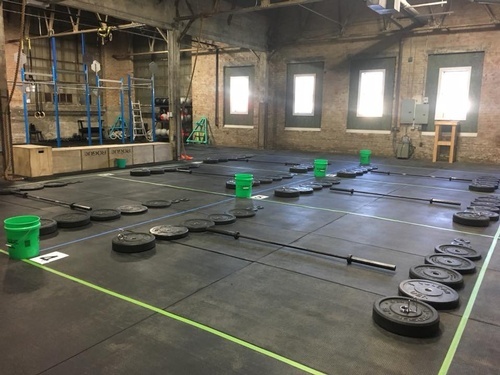 LP CrossFit is a strength and conditioning facility that develops individuals and athletes, to reach elite levels of fitness through functional high intensity movements. We are located on the North East corner of the historic Westlclox Building in Peru, Illinois. Our 4200 square facility holds top of the line equipment, the best coaches, and determination. CrossFit inspires the ordinary to achieve the extraordinary. We will empower our athletes to believe that no obstacle is too large to overcome, that the impossible is possible. We want everybody to know that if they push themselves great things will happen. Our training employs constantly varied, functional movement executed at a high level of intensity. Functional movements are essential, everyday movements that are done in real life, from sitting to standing, safely lifting from the ground, and lifting objects overhead.